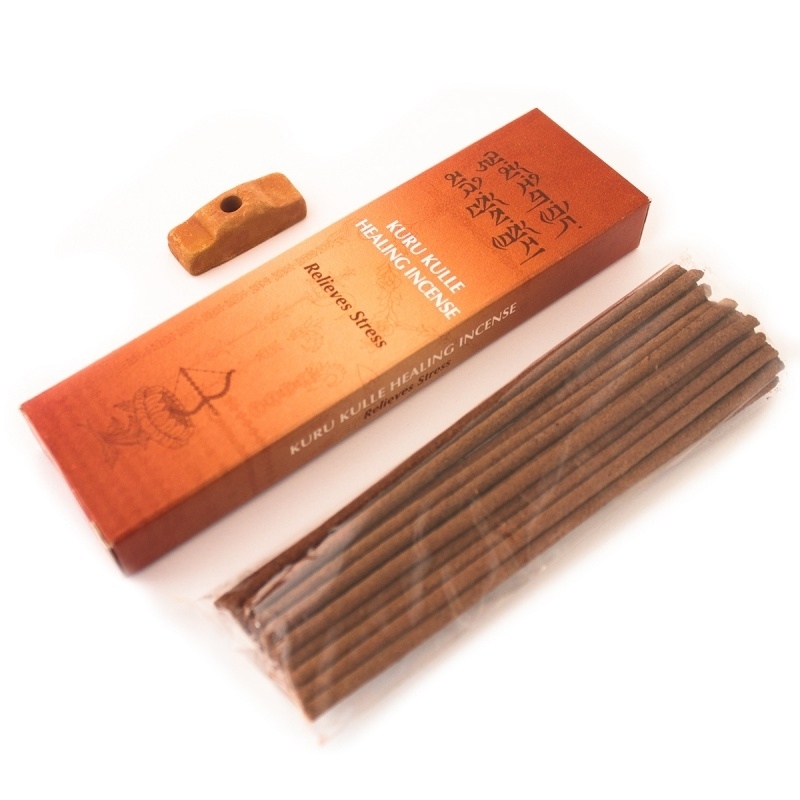 Tibetan incense Kuru Kulle, Relieves Stress. Kuru kulle is the female buddha of love and this special healing incense is made in exact accordance with the traditional method and the recipe that we find in ancient texts. It has a slight scent that promotes the increase in feelings such as love and rest and fills the environment with positive and peaceful energy. An incense for the well-being of body and soul and for the purification of the house and surroundings. This tibetan incense is not composed of a mixture of essential oils, but of precious woods mixed with natural ingredients from the Himalayas. The incense is produced entirely by hand. Body and mind relaxation, a method for inner and world peace. kuru kulle is the female buddha of love and this special healing incense is made in exact accordance with the traditional method and the recipe that we find in ancient texts. It has a slight scent that promotes the increase of feelings such as love and rest and fills the environment with positive and peaceful energy.